Has anyone tryed that foam filling for there tires? I just had the fronts done on my tractor last week. (tired of all the flats) It was pretty spendy at $90 a tire but the flat tire thing will be a thing of the past.can't think of what the guy called it but it's a newer produce that is a lot more softer than what they use to use ,man showed me the difference. old stuff made the tire feel as if it was filled with concrete, and mine got the same feel as if it had air in it. It did however add about 70 lbs to each tire. It seems like the weight would be a good thing. Are you going to have the rears done also? What do they do to change the tire when it wears out? The tire must be cut off the wheel,but the rims can be reused. And yes I like the extra weight to help keep those front tires planted when workin up the fields. haven't had no flats on rears yet, but if I start haveing that problem I will have the rears done. It's probley not the thing to do for those who are worried about tearing up the ground, because It really seems to chew at the earth more in the front now. but traction is inhansed. I think you will find that even though you have added weight that your foam filled tires can't flex like air filled tires to absorb the contours that a tire goes over as well. The added weight on the front will make the tractor steer harder. If you have enough in reserve to deal with the performance losses then this will probably work for you. Art you are correct the steering does seem a little heavy and the ride a tick stiffer but to me thats a small price to pay for not haveing to deal with flats.thus far the extra weight really seems to help the torky lite weight machine. Does anyone know if the tire foam is available for DIY? I'm also having problems with the front R4's tires on my new B7800. I can't believe the Locus thorns made it through them, but I seem to have developed 2 slow leaks up front. When the weather warms, I'll do a good wash & soapy water job on them to locate the leaks and see if I can determine the source. It looks like I may need to get good at plugging tires or go with foam or lots of "Fit a Flat". Any other input I should know about? P.S. 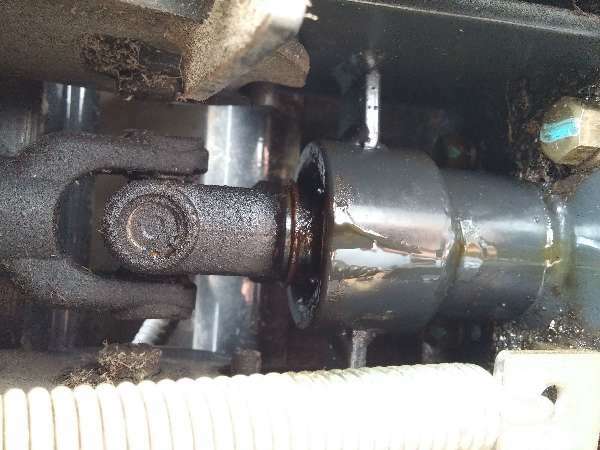 Edit - I just finished reading SLOW LEAK and TIRE SEALANT threads later in this forum, so I have seen the well made points about plugging, Fix a Flat & Slime. I guess there are very few new questions out there. This board has already covered most of it. What I didn't see is any info about Do It Yourself foam installation. Any help there? Is the other option the traveling tire repair guys? I'd hate to haul the tractor tires and all the little toys to a tire dealer. There is no home fill for tires as only a few tire dealers install. I say that as we do about 40 a year and still don't find fesable to own it. Last time I was in our local tire shop they had a display of pre-foam-filled tires of various sizes. Apparently some company is selling foam filled tires on the rim ready to roll. Not sure how the prices compare to having your existing tires repaired and filled though.